When your friend is getting married you need to give her a Boston Party Bus bachelorette party. Give her a dream evening with friends and make her feel special just before her big day? If your answer is a yes, then, Lowell VIP Limos can create the right atmosphere for you with our premier bachelorette party limo package. Yes! That’s right! Lowell VIP Limos has become Lowell's Bachelorette Party Central. We have created some of the most enjoyable bachelorette limo party services available in the Lowell MA. area. Give your bride-to-be a day to remember before the big day! Take her to an outing at a lavish place with all your female friends. A limo is a perfect choice to make a woman feel very special! With our limo services, the bachelorette party limo fun begins right when you step in! Is Boston your destination? Ask us about our special Boston Party Bus Service here at Lowell Limos. Our party buses are equipped with latest amenities like a good sound system, a large TV and so much more. You can drink cocktails, you can sing, you can watch your favorite sitcom. Girls love to have fun and this would definitely make a bride to be extremely pleased! Do you know what makes a ride in the Boston party bus memorable? The answer is proper planning. Our years of experience and variety of ideas can create a one of a lifetime experience for you. Party Hard without any stress! With Lowell VIP Limos’ bachelorette party limousine service, you can ensure yourself of a stress-free ride to your desired destination. Worried about the traffic or the parking issues? We will take care of all such petty issues! Got a number of friends? They will all fit! It doesn’t matter if you have a few friends accompanying you or a whole bunch of them! We have limos big enough to fit them all! 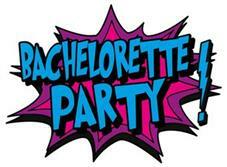 We can always bring out our impressive bachelorette party Limo bus! Each of our chauffeurs is trained carefully to provide you with the services that will make you feel like a queen! Our chauffeur will pick each one of you from your respective doorsteps, and will open the door for you and make you feel like royalty while you move yourself to the party music inside the limo! We always make sure that we drive you to your desired destination safely. Making your day memorable is just the half of our work, keeping you secure is the other and the more important half. We provide you with a complete package! Enjoy our professional services and let your friends talk about it for years to come. 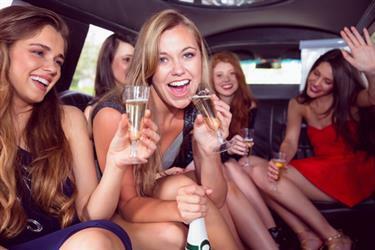 So gather all your friends and have the night of your life with our bachelorette party bus limo service. The sky is the limit for us! We’ll go whenever and wherever you ask us to. Call us at 978-800-4614 and get a free quote for the party bus limo service. You can also fill out our free quote request right on this page. Now is the time for you to go and have fun, let the people stare in awe when you and your friends get out of our limousine in style!